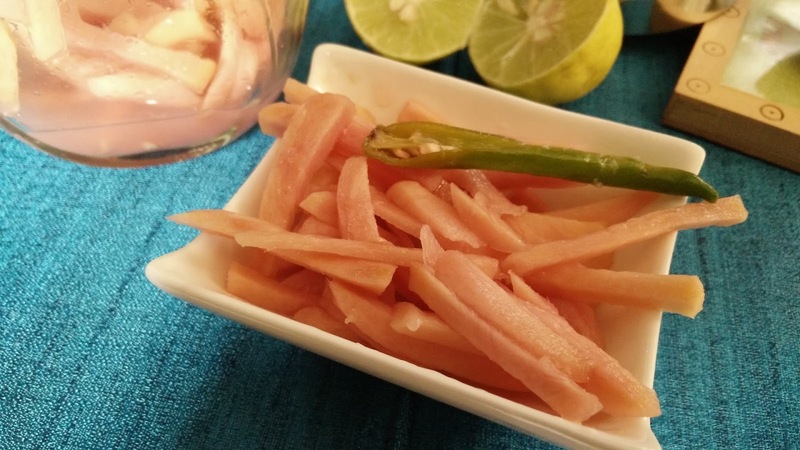 Ginger pickle is simplest pickle recipe which is oil free. It requires minimal ingredients and is a 2-min pickle recipe. This pickle goes perfect with any Indian breakfast or even served with any main course. Simple pickle with huge appeal!!! 1. Mix all the ingredients in a glass bowl. Keep it aside for few minutes at room temperature till ginger changes colour to light pink. 2. Transfer the contents in an air tight glass jar and keep it for overnight till the pickle is ready. 3. Store the pickle in refrigerator. 4. Serve the instant ginger pickle with stuffed parantha in breakfast.